What makes pharmacy fixtures functional? The right pharmacy fixtures keep your merchandise organized and displayed properly so that customers can find it easily. Gondola unit "islands," end caps, and wall units should form the basis of your pharmacy fixture inventory. These sturdy, endlessly configurable pharmacy fixtures are made of heavy duty steel and can hold just about any item effectively. They come with a variety of accessories like baskets, and hooks, in addition to shelving so that you can set up your display to your exact specifications without having to "make do." Countertop and freestanding wire rack displays let you set up instant "hot item" displays both near the checkout and throughout the store for smaller items like candy, magazines, over-the-counter medications, and anything that can qualify as a "quick grab" or impulse buy. These items are important to your profitability, because they can significantly boost your bottom line through volume sales. Pharmacy fixtures give you some of the best "bang for your buck", in that they can be bought once and then used again and again. If you are upgrading, you don't necessarily have to replace all of them. Instead, you can mix and match old with new. This saves you some significant money by using what you already have in stock and simply adding to it. Why should you worry about having attractive pharmacy fixtures? While it might seem silly to worry about having "attractive" pharmacy fixtures, that is the first thing your customers will notice – even if they don't consciously think of it. When your store is aesthetically pleasing, your customers feel comfortable there and want to stay longer – and that can mean better sales for you. While the old institutional look is certainly functional, it is not welcoming. 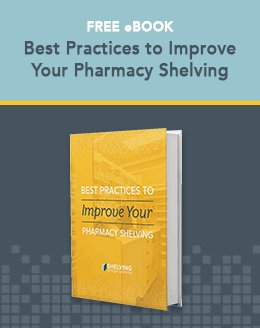 Attractive pharmacy fixtures that blend right in with or complement your decor serve their purpose just as well as bland ones do, but your customers will feel much more comfortable in a store that minimizes the "institutional" vibe. Retail pharmacies know how to make their customers want to come and shop. They don't have your personalized service – but they do have scores of experts who tell them how to make their stores attractive and thus draw customers to them. 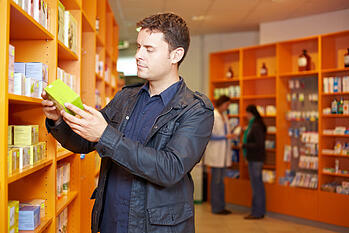 You need to a leg up on retail pharmacies in that you already provide a level of service they can't hope to match. Now, make sure you are focusing on your customers' comfort and ease as well. Provide an attractive interior and comfortable atmosphere for your customers, and they will keep coming back to you. While the first thing you think about in regard to pharmacy fixtures is that they have to be functional, make sure you don't forget their aesthetic value, as well. Mix and match some new attractive pieces with older pieces for an eclectic look and to save money if you don't want to invest in all new fixtures right now. You will still improve your store's look, and keep the functionality and focus on the customer service you've always provided.